You read the title right Free Tool Box and Tools! ! I am giving someone my Sonic Tools S10 VW Tech toolbox full of tools. As many of you know, I just expanded to the Sonic Tools S12 Tech box. This means the S10 has got to go, and one of you folks are going to win it. The Sonic Tools S10 box has served me very well during Project White Wookie. It has many of the tools needed to work on Volkswagens and Audi vehicles. And let’s face it, that foam storage is awesome. This couldn’t be easier to enter. Simply fill out the form below. Before you do, please read the rules and details of the contest. Recipient of this box will be chosen at random. All entries must be received by July 31, 2017 11am eastern time. Recipient of this box will be announced at 6pm eastern time July 31,2017. To enter you need to submit your name and email address LINK TO THIS PAGE!!! The giveaway starts when this video was posted and closes 14 days later with a comment in the original post announcing the winner. This giveaway complies with all applicable federal, state and local laws, rules and regulations including U.S. sanctions. 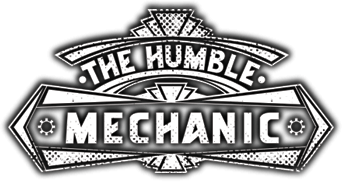 Any personal data (address, email, name, etc) will be kept private and be used for Humble Mechanic and this contest to contact the winners and for a possible future Humble Mechanic email list (you may unsubscribe at any time). The “VW Tech Toolbox” is sponsored in part by SonicToolsUSA.com (“Sponsor”) and Humble Mechanic (“Sponsor”) This contest is governed by these official rules (“Official Rules”). By participating in the contest, each entrant agrees to abide by these Official Rules, including all eligibility requirements, and understands that the results of the contest, as determined by Sponsor and its agents, are final in all respects. The contest is subject to all federal, state and local laws and regulations and is void where prohibited by law. Send me the tool box! Very excited for whoever wins this contest! Me too, don’t get me wrong but whoever gets it is going to enjoy it. Great thing your doing Charles! I hope someone in need gets the chance to own this great set of tools! You are a genuinely good person Charles. Keep up the great work on the videos. My 2012 Jetta GLI has graced me with a plethora of codes. Attempting to narrow down my issues, I have found several of your videos and they have been quite helpful. Although my issue has not been resolved yet I am confident I will track it down and save some money in the process. Thank you for your awesome videos! Thank you for the opportunity! Excellent! I really enjoy watching your videos. They have helped me out several time with repair issues on my jetta sportwagon tdi. You are humble, giving, knowledgeable and entertaining. Keep up the fantastic work on your channel and see you next video. Being the family mechanic (my cars, siblings, in-laws, friends) it would be so nice not having to unload half my tools from work to fix vehicles at home or elsewhere. Thanks in advance Charles, you are amazing. Wow what a great thing to do! I’m finishing trade school soon so this would be an amazing win. Got my fingers crossed! Just bought a b7 s4 avant, could really use the all the help i can get working on it. It’s a bit of a lemon. Lol. Thank you for opportunity to win such a great tool set. Seriously great contest. Thanks to Charles and to Sonic Tools. Nice contest good luck to everyone . Thinking of switching to VW. This would be the best way to start! Very informative videos. Thank you! I had learned so much from your videos. Love it and following with my entire family. Our stepson is a car fanatic and works on his car himself, work through it while getting assistance in YouTube. He loves your channel and watch each episode that you had uploaded. He started working as an mechanic apprentice, entry level..and needs urgently his own tools. He has some but is not as good as the ones you are giving away. I hope I can win this for him. Thank you for being such a great influence in his life. My tool box spontaneously combusted after a Jet Engine from missing Malaysian flight 107 fell from the sky through the shop and well you know. Plz help. oh ps my shop manager beats me. I really hope i win this box. I have been working for audi for 7 months now and dont have all the tools i need yet. This would really help my career. I would be so grateful if i won. This would help a lot for starting college soon for automotive! Thanks for all the great videos. They have been a bunch of help with my ’09 CC. I can definitely use thus gift to start my mechanic business Lord knows I can’t afford a set like that right now.. That will be a blessing! I am so tired of Harbor Freight tools, please help me! love the vids man keep it up! great videos.. great info.. for the do it yourself type people.. watching a few of these videos posted has really got me out of some troubling spots..
awesome job on the show! Love what you do! Your videos and Eric’s are the best on the net! My Name is Charles too! And I go to NTI! That would be pretty cool to pass it on to another NTI Charles…. I enjoy your videos, and would love to have this box. Awesome work, keep the great content coming! so is this the “form below” where we have to fill in our name, and email address? is it just “leave a reply” to enter? I can almost walk again after a motorcycle crash that totaled my last bike. naturally, I need to build another bike. that’s my plan for the tools, its not a VW, but it will definitely be metric. Awesome vids keep up the good work! Ooh my, that’s quite a spiffy prize. Thanks for the opportunity! Love your channel – keep the good stuff coming! This box would fit well in my garage! Good luck everyone! Really like what your doing with your channel! Awesome! Love your video’s man. Good luck to all. I was looking for information on my 1999 Tahoe and ran across your blog. I do live deep south in Louisiana’s Cajun land so maybe it takes awhile for the good stuff to drift our way. I have never heard of Sonic Tools but I am only a hobbyist of mechanics. I am a welder and work in oilfield construction, maybe that counts as someone that is in need of some great tools like these? I think so. I’m guessing the giveaway has come and gone by now?